Casting Call for singers, musicians or just fans of Bob Dylan. I am currently creating a short documentary focusing on the impact his works, and how it has inspired and created such a lasting impression on you – if it has. The filming process is simply shot by you to the best of your ability, at home or wherever you feel comfortable. There will be a series of three questions to answer if selected, the questions are to be opened and answered truthfully to the camera. The documentary has a twist obliviously. If you get selected, I will, of course, prepare you for question 3. Payments, as with all my projects, when they are completed, will be via sharing an equal percentages scheme from profits to all the participants. Are you engaging and bubbly? All genders and ages welcomed. We want real characters to show why Bob Dylan music created just something within their lives. The finished format will be pitched to television companies here in the UK and abroad. 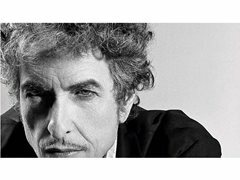 We want real characters to engage the viewers with why Bob Dylan's music created just something within their lives?